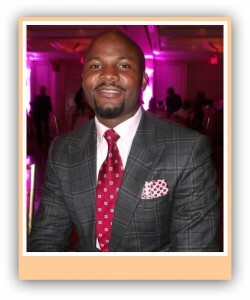 Stanley Onwuakor was born in Kings County Brooklyn, New York. At an early age, he moved to the town of Umuahia in Abia State, Nigeria, where he spent 20 years of his life. His long stay in Nigeria was quite a life changing experience. He went through different phases of challenges, struggles and obstacles. However, his trials and tribulations only made him stronger and wiser. After his years of painful ordeals, he returned to the United States to continue the journey of his life. Stanley being a man that refuses to settle for less, had to set on a quest to achieve the level of education which would allow him to manifest a very fulfilling lifestyle. He later received a B.A in Business Management & Entrepreneurship at Ashford University. In 2008, “Americans for Africa Foundation” assigned him a position to work with Children in the town of Owerri and Orlu in Imo State, Nigeria. Working with Poor children and seeing their lack of access to proper education reminded him of himself when he was growing up as a child in Nigeria. This motivated him to do an exceptional job in helping make a positive difference. He is the Founder and President of Kor Foundation, which came as an inspiration from his nerve-wracking experiences growing up in the eastern part of Nigeria. He didn’t have access to a better education because of the level of poverty that his family was buried in. However, he still succeeded in attending a community school by selling Groundnut, Pure Water, Meat Pie, and custom made Shoes. Which, he used the money that he earned to buy his school uniform, and other school materials. At this stage in his life, his heart pumps with a strong passion for humanitarian work. Which is why he has decided to start Kor Foundation to help him focus on educating children, fighting poverty, and helping disfranchised young people to strive for a better future. This is the path that his self-fulfillment lies, and he is willing and determined to give it his all.